In 2002, John Osborne won a competition challenging listeners to write a slogan for the John Peel’s Radio 1 show. 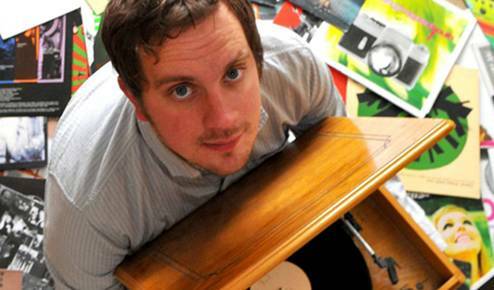 His winning line – “Records you want to hear, played by a man who wants you to hear them”. The prize was a box of records previously stored in John Peel’s shed, that took eight years to listen to. This is an ode to radio, those records and anyone who’s ever sought solace in the wireless. The show features a selection of records previously owned by the late John Peel. Many are very rare recordings by obscure and now defunct bands, and this is a unique opportunity for all Peel fans to enjoy. A version of the show was recorded at the BBC Radio Theatre and broadcast on Radio 4, and it was chosen as Pick of the Day in The Radio Times.